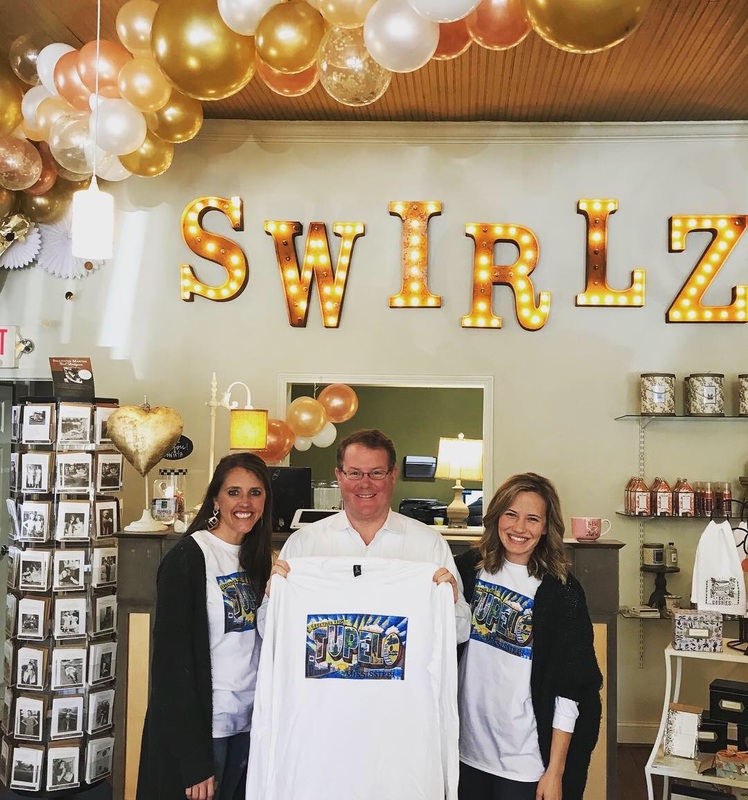 Swirlz – because a cute invitation is a good reason to have a party! Like and follow us on social media to stay up to date on all that we have to offer! Look who stopped by the store today to pick up his Greetings from Tupelo T-shirt! We want to keep the excitement going and offer a giveaway!! Go to Swirlz Facebook page for your chance to win yours!